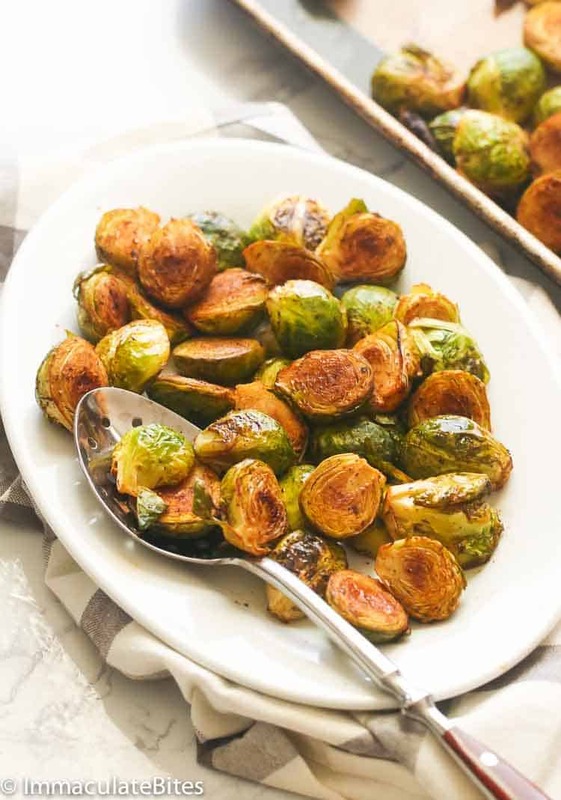 Balsamic Baked Brussel Sprouts – golden brown, crispy and tasty Brussel Sprouts tossed in olive, creole and balsamic vinegar mixture. Quick and easy side dish , for easter that will become your new healthy addiction. 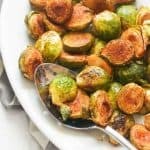 Brussel sprouts are one of my Top Ten favorite vegetables. But I always wonder though why a good number of the population hate this miniature cabbages. These tiny veggies are an excellent source of vitamins C, K and a moderate amount of vitamin B and essential minerals and fiber. So as little as they might be, they are in fact HUGE in nutrients. And my go-to way of enjoying these babies here is roasting them. They’re easy to prepare with a short list of ingredient and comes ready in under 30 minutes! All you have to do is toss them in olive oil, salt and your favorite seasoning. For this recipe, I use my go-to Creole Seasoning HERE for a little kick. Then roast them to perfection and coat in a balsamic vinegar to seal the flavor! 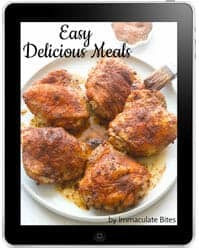 It’s the simplest and easiest healthy meal you can prepare. You’ll going to pop them in your mouth like French Fries. They’re even better than that since the’re way more healthy. 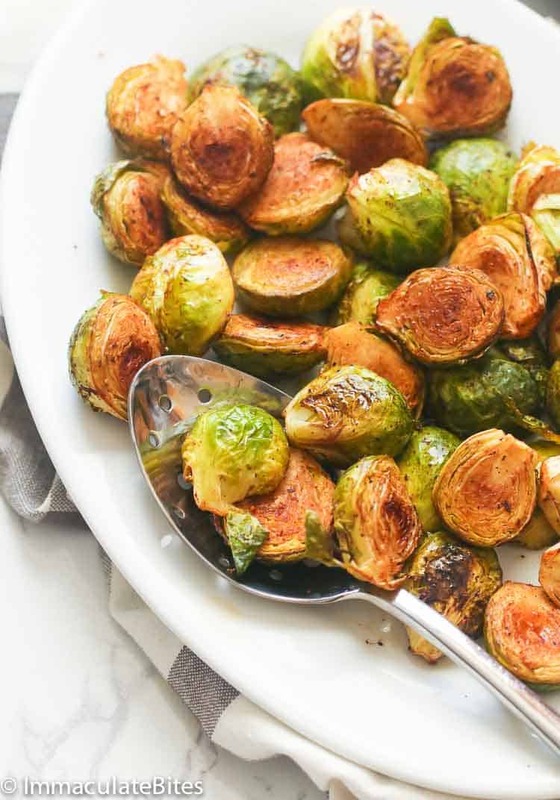 Whether as sides or as snacks, these Balsamic Baked Brussel Sprouts are a sure hit on your menu. 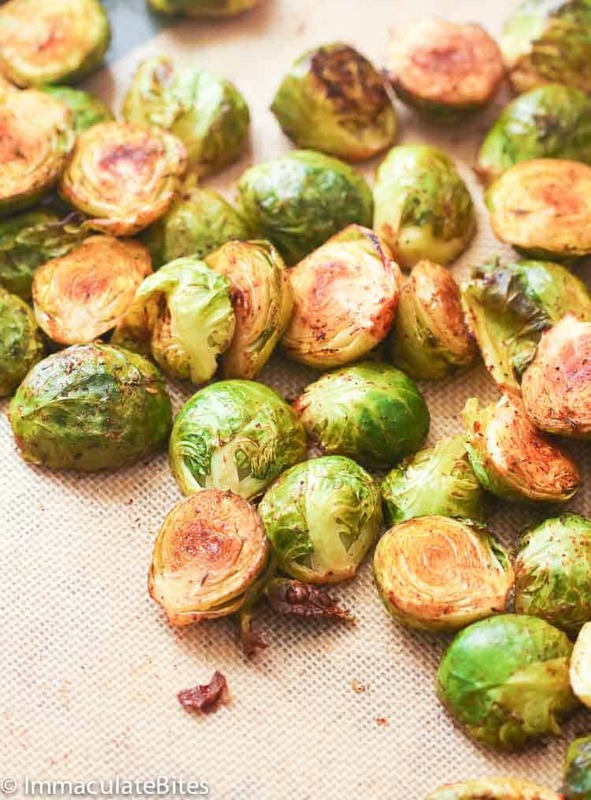 If you have the bigger sprouts, make sure to cut them into quarters to ensure even cooking. Balsamic Baked Brussel Sprouts – golden brown, crispy and tasty Brussel Sprouts tossed in olive, creole and balsamic vinegar mixture. Quick and easy side dish or snacks that will become your new healthy addiction – taste great than French Fries! 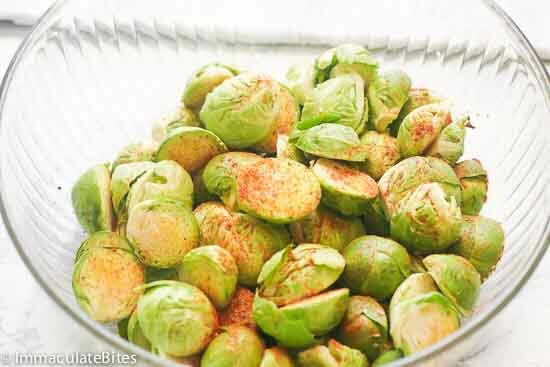 Trim brussel sprouts; remove any dry or bruised leaves and peel away any loose outer leaves. Cut each brussel sprouts in half through the stem. Place in a large bowl. Arrange a rack in the middle of the oven and pre -heat to 400°F. In a medium skillet, cook butter over medium heat until fragrant and golden brown, about 4-5 minutes, do not burn. Let it cool. In a small bowl mix together butter, balsamic vinegar and honey. Toss sprouts with salt , pepper, and creole seasoning , followed by half of the balsamic honey mixture. 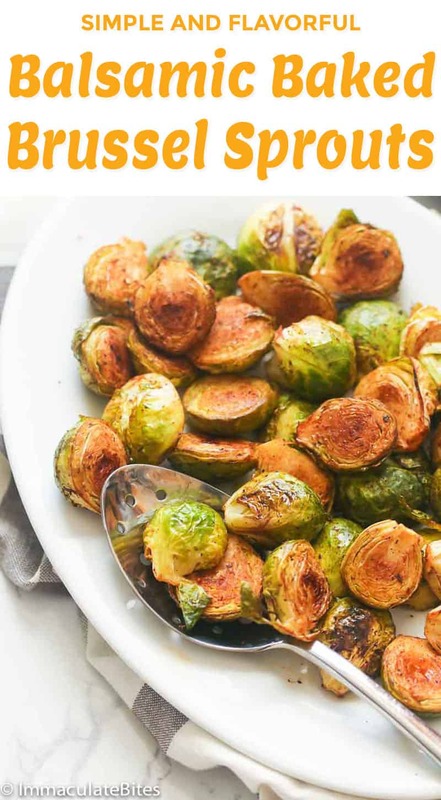 Spread brussel sprouts on prepared sheets, arrange them cut-side down. 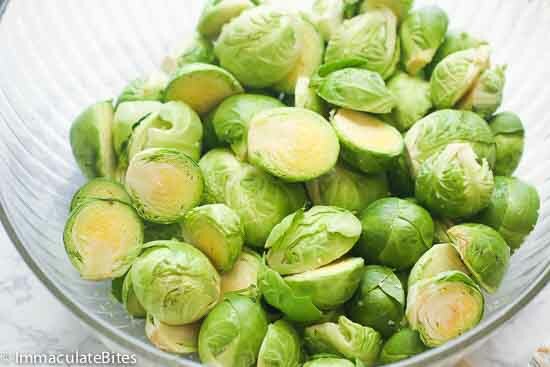 Roast until the sprouts are tender, 20 to 25 minutes, stirring the sprouts once or twice during roasting. The best way to do this is to taste as you go. Serve immediately, or toss with more balsamic honey vinegar, if desired. 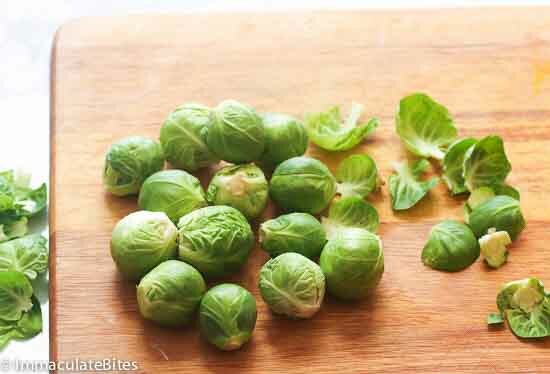 Trim brussel sprouts; remove any dry or bruised leaves and peel away any loose outer leaves. Cut each brussel sprouts in half through the stem. Place in a large bowl. In a medium skillet, cook butter over medium heat until fragrant and golden brown, about 4-5 minutes, do not burn. Let it cool. 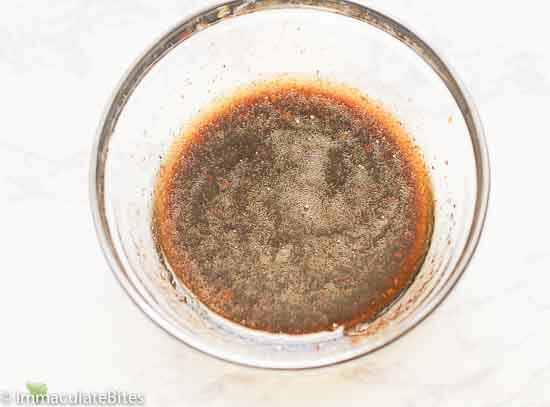 In a small bowl mix together butter, balsamic vinegar and honey. Toss sprouts with salt, pepper, and creole seasoning , followed by half of the balsamic honey mixture, adjust sauce to taste . 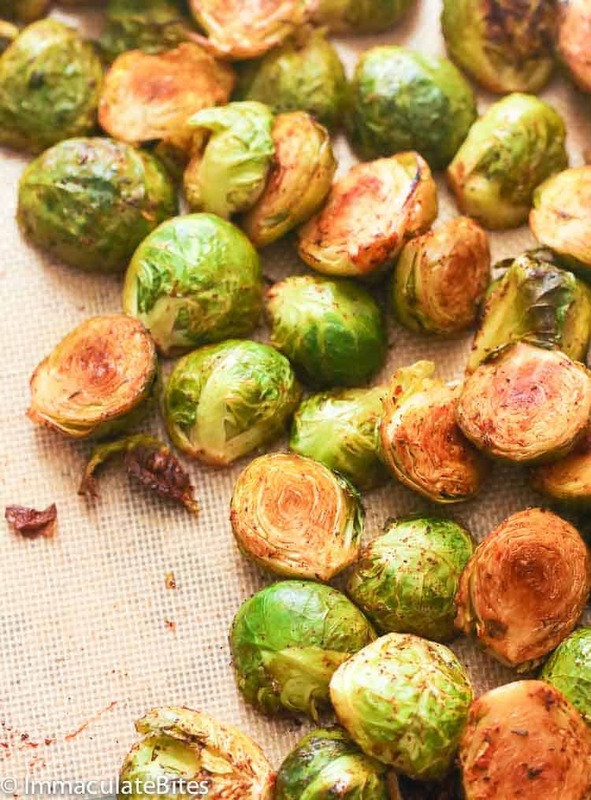 Spread brussel sprouts on prepared sheets, arrange them cut-side down. 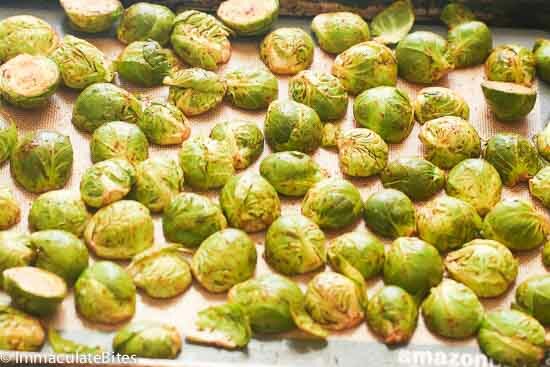 Roast until the sprouts are tender, 20 to 25 minutes, stirring the sprouts once or twice during roasting. The best way to do this is to taste as you go. Serve immediately, or toss with balsamic honey vinegar, if desired.